For any type of painting job, particularly for masonry, good surface preparation is very important. Most premature paint failures actually take place due to lack of proper surface preparation before starting the painting work. Be sure to understand the surface well. Before, beginning to paint masonry, it is important for you to know if the masonry is to be freshly painted, or whether it was previously painted. If the surface of the masonry is old and has weathered, one has to have the proper tools for the job. The surface preparation, in this case, can begin with cleaning the surface using a wire brush, power washer, or a power brush. You need to clean the surface, so that all the peeling paint is removed before the re-coating. Also check if the masonry surface is dry or has a leakage. For dry surface, simple painting can do the trick. 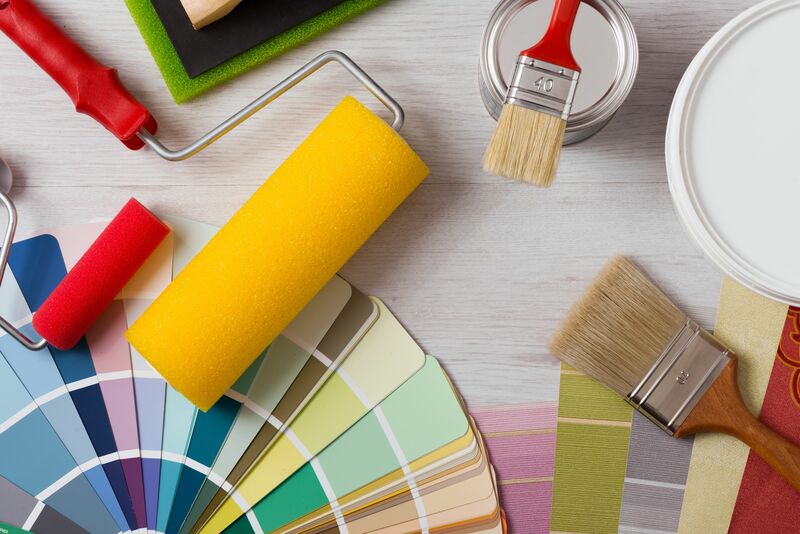 There are plenty of decorative paints available in the market that can give the drab masonry of your home a quick makeover. You could go for cement paint that looks best on a flat and uniform masonry surface. You need to, however, ensure that the masonry is free of oil paint, oil, dirt, or any other particulates that will hinder the paint coat from sticking to the surface. The first step in surface preparation is to spot all the cracks and fill them with patching cement and then leave the surface to dry well. Second, after the surface is dry, dampen the surface by spraying water before beginning to brush it. This will avoid the masonry from drawing humidity from the paint. You can choose to spray using a garden pressure sprayer attaching a fog spray nozzle to it, such that you only dampen the area and not soak it with water. This way, you also waterproof the surface. Third, mix the paint selected with water as per the directions mentioned on the paint container. Keep stirring the mixture, as ingredients tend to settle at the bottom, cement paints being heavy in nature. Moreover, the brush used for painting masonry is a stiff fiber scrub, using which you will have to practically scrub the heavy paint on to the masonry surface back and forth. So keep stirring the mixture of the paint and water while painting. You need to scrub and paint until the desired area is covered, and then move on to the next zone. The area that’s already painted needs to be dampened again, in the manner described in second step, and then left to dry for at least 48 hours before applying the final paint coat. This would give the masonry surface a perfect finish.